Version 2 now supports FSX Boxed Edition, FSX Steam Edition and Prepar3D v1.4 in one super-installer! SKY OF TAIPEI is one of FlightSoft newest titles in our Asian Collection. 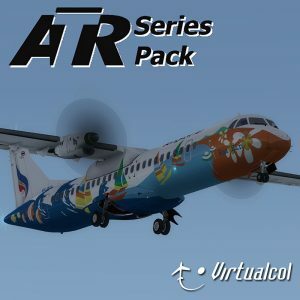 FlightSoft’s newest Asian add-on for Microsoft Flight Simulator. This massive satellite based scenery title provides the flightsim add-on market with one of its most detailed and precise scenery add-ons for PC pilots of all levels of expertise. TAIPEI includes extraordinary scenery details that will make this title one of the most important add-ons you’ll ever purchase for your extensive flight sim library. The Chiang Kai Check International Airport and other airports Taipei are meticulously rendered as close as possible to real life with lots of AI traffic and detailed renderings of hangar buildings, terminal buildings complete with native language signs, trucks, little vehicles and lots of aircraft traffic to give you all the sights, sounds and sensations of being in its real-world counterpart. FlightSoft’s Fly to Taipei is the most comprehensive scenery title of Taipei. We will fly you into Chiang Kai Check International Airport and Sunshan Airport in Taipei. The airport details include custom AI aircraft and moving airport vehicles and small trucks. You’ll fly and visit all the major landmarks in Taipei City and experience the unique urban landscape with lush green vegetation, tropical plants, exotic trees and stunning night effects of one of the Far East’s most exotic holiday destinations. The library of approach flights provided and come standard in all FlightSoft products will expose you to all the landmarks and beautiful flight paths over Taipei and its surroundings as you explore one of the most extraordinary cities in Asia and amongst the most impressive flight paths to an airport in Asia. You’ll be flying to Taipei in one of several generation aviation aircraft so you can master the art of slow flight and enjoy the views of the city close and personal. You’ll experience the exhilaration of flight into Chiang Kai Check International Airport a busy hub in Asia complete with AI aircraft, airport vehicles and trucks. The airport is one of the most beautiful in Asia and a splendid example of modernity equipped with all the navigational aids and runway guidance systems that you would expect from the major airports of Asia. Moreover, you’ll also fly into a mid size Sunshan airport with breathtaking views on approach to this delightful airport in Taipei. The way you negotiate the various turns and descents are contingent on the approach plates for the airfield you are flying into and you’ll experience a certain sense of achievement when you negotiate the various phases of the Standard Arrival Route and look out the cockpit window and view the plush urban landscape on final approach. These airports provide your general aviation aircraft the rare opportunity to experience an approach over lush green urban areas in slow flight with certain maneuvers that will keep you on your toes as you view the immense airport real estate at Chiang Kai Check International … these are truly large airports fully equipped with CAT II and CAT III ILS systems and the runway lighting is brilliantly rendered for an impressive final approach …your small general aviation aircraft will welcome all the technological wizardry that impresses general aviation pilots when flying into these magnificent airports. FlightSoft brings you on an exciting journey offering you hundreds of hours of fun, excitement and the learning experience of a lifetime as you negotiate the busy airways of Asia and experience flights into Taipei’s airports. FlightSoft’s Fly to Taipei will place you in the captain’s seat of general aviation’s most famous aircraft and you’ll enjoy all your scenic flights and approaches over airways and on visual approaches to Taipei’s most impressive airfields and international airport. FlightSoft’s Fly to Taipei FSX is for the PC Pilot who wants to fine tune his/her flying skills and impress colleagues and friends with flights to impressive airfields in an exotic city. ` Fly to Taipei is an indispensable product and should be a must have item in every PC Pilot’s flight sim library. Now supports FSX Boxed Edition, FSX Steam Edition and Prepar3D v1.4 in one super-installer. Note: The included aircraft require components from FSX be on your system. 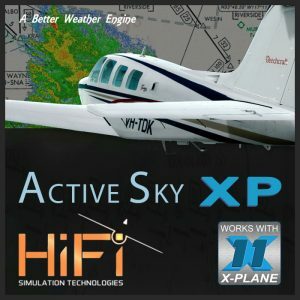 To install this into Prepar3D you MUST have either FSX Boxed or FSX Steam Edition installed.